I’m a fan of mechanical keyboards – but a frustrated fan, because to date I have not found one in an ergonomic shape I can use. That’s why I’m excited about Matias, the Canadian keyboard maker that will soon be releasing its sure-to-be-amazing Ergo Pro. Alas, when I contacted the company, I was told that samples are not yet available. In the interim, they recommended that I review one of their “standard” models. Having famously low resistance to trying new devices, I agreed. In its press releases, Matias claims that it is “emerging as the #3 keyboard manufacturer,” behind Microsoft and Logitech. Its main claim to fame is the Tactile Pro, which is designed to feel very much like a certain vintage Apple device. Then there’s the Quiet Pro, which is basically the same thing without the racket. Given my choice of review units by the company, I picked the miniature version of the latter – the Mini Quiet Pro. With a small footprint, low noise level, and of course easy-on-the-hands mechanical action, I figured the Mini Quiet Pro would give me plenty to write about. What’s so great about mechanical? Hard to answer in words, but spend a minute or two typing on one and the question answers itself. 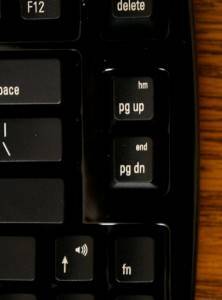 Why then do most keyboards, including most ergonomic keyboards, use rubber dome switches instead of mechanical ones? Because of the cold realities of supply and demand. Membrane switches are cheap, mechanical switches aren’t, and most people just don’t care – until they try the two choices side by side. Try hitting a few keys on your keyboard, and notice one thing: in order to register a keystroke, you must press the key all the way to what we call end-of-travel, that is, until the key bottoms out on the switch. But with a mechanical keyboard, the stroke registers while the key is still sliding. In the hands of a skilled typist, this results in an amazingly smooth, almost airy typing experience. It’s like you’re not even touching your keyboard, but rather controlling it with motor impulses transferred electronically from your fingers. Mechanical keyboards do have one drawback, and you’ll hear it the first time you walk into a room where a fast typist is going to town on one. They are, to varying degrees, loud. As in, somewhere between a machine gun and a woodpecker with ADHD. 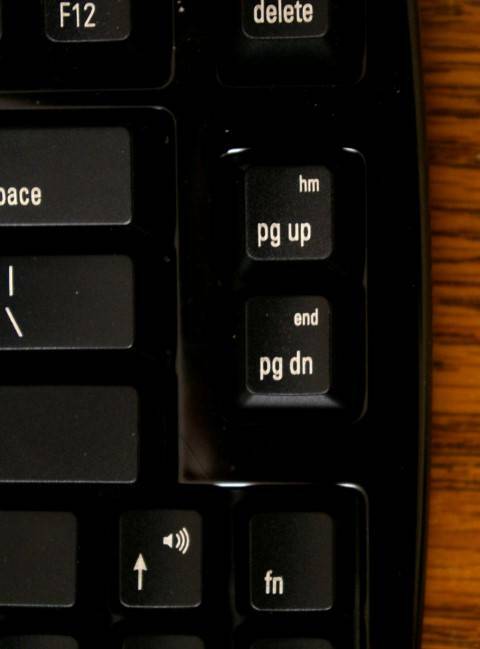 Typically, this doesn’t bother the typist – in fact, some mechanical keyboard enthusiasts seem to relish it. If that’s you, and you type alone in a room with thick walls, then rock on. But if it isn’t you, or if your workstation is within earshot of others, you may have a problem. Enter the Quiet Pro, the Matias model that tames the resounding bang to a soft click – still louder than the rubber domes you might be used to, but more like a mild-mannered nuthatch than the aforementioned hyperactive woodpecker. Just visually, this is one sweet keyboard, with touches of quality that bespeak true professionalism in design. The chassis is heavy and slick; the keys feel reassuringly solid; even the box is durable, and would probably serve as a carrying case if you wanted to take the keyboard portable. And speaking of portability, the Matias Mini Quiet Pro comes with a dual-detaching cable – in fact two of them, one angled right and one left, to fit in perfectly with your setup. Plus, you actually gain USB connections with this keyboard, as it serves as a 3-port hub. There’s no place like Fn-Home? I consider myself a pretty advanced user when it comes to text editing. Shunning the efficiency-depleting mouse clicks of the masses, I tool through whatever text I’m working on with navigation keys – chiefly the arrow keys (with appropriate Ctrl modifiers) plus Home and End. Wait a minute, what happened to Home and End? The Home and End keys in their perplexing, rather inconvenient location. This one really took me by surprise. With no apparent remorse, Matias has simply removed Home and End from the effective arsenal of the Mini Quiet Pro. While technically present, they’re second-class citizens, Fn-triggered alternates on PgUp and PgDn. In my opinion, this could hardly be more reversed from the way it ought to be. In what universe are the page nav keys more frequently accessed than Home and End? For that matter, couldn’t they have made the bezel just an inch wider and fit in dedicated keys? And think about this: The Truly Ergonomic keyboard, sans palm rest, is almost exactly the same dimensions as the Matias under review here, yet its designers not only fit those keys in, but gave them appropriate places of honor. I challenge Matias to figure out how they can do the same – or at least demote PgUp and PgDn to Fn-key level, in favor of their far more useful cousins. Speaking of the Fn key (which is something you have to do a lot when using the Mini Quiet Pro) I’m not altogether fond of its positioning. Placed just below the Home and End keys on the right, it’s in a sour spot where you’ll end twisting your hand to hit it with your pinkie. Far better, in my opinion, to put it next to Ctrl on the right and get rid of the extra Windows key. I can do without another Microsoft logo, but I can’t do without a function key as crucial as the one on this keyboard. Given the issue with Home and End discussed above, you may be wondering why I chose to review the Mini Quiet Pro over its full-size brother – or why you should choose it for your work. 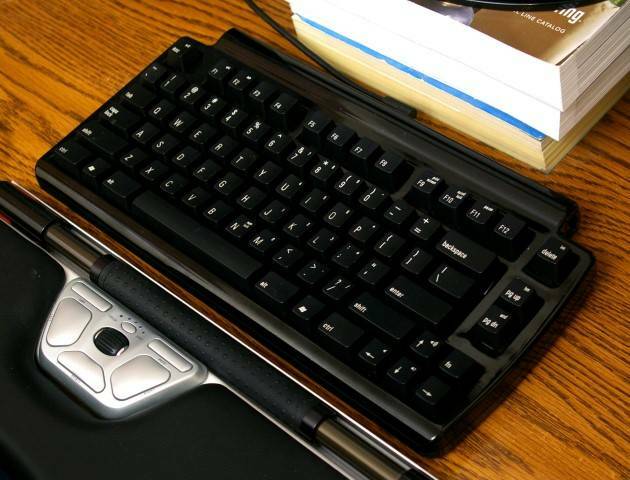 The answer has to do with the keyboard’s small footprint, which in some situations can be very relevant to ergonomics. Smaller keyboard = more room to move mouse + less distance to reach for mouse. With the Mini Quiet Pro, this is a simple case of a tradeoff. Choose the small footprint and lose some convenience – especially if you use Home and End much – or upgrade to the full-size model and find a way to deal with its width. My personal recommendation? Go full-size and get a Contour RollerMouse Red, which uses the space in front of the keyboard rather than to the right. But if you’re crazy for desk space – or just want a keyboard you can fit in your laptop bag – the Mini Quiet Pro is a well-made, compact mechanical keyboard at a very reasonable cost. And it’s an amazing preview of the quality we can expect in the Ergo Pro. Keep it coming, Matias!